Community Blog by DtoidAustralia // Sydney NARP: You Got GHost In My Australia! Also, An Important Announcement. 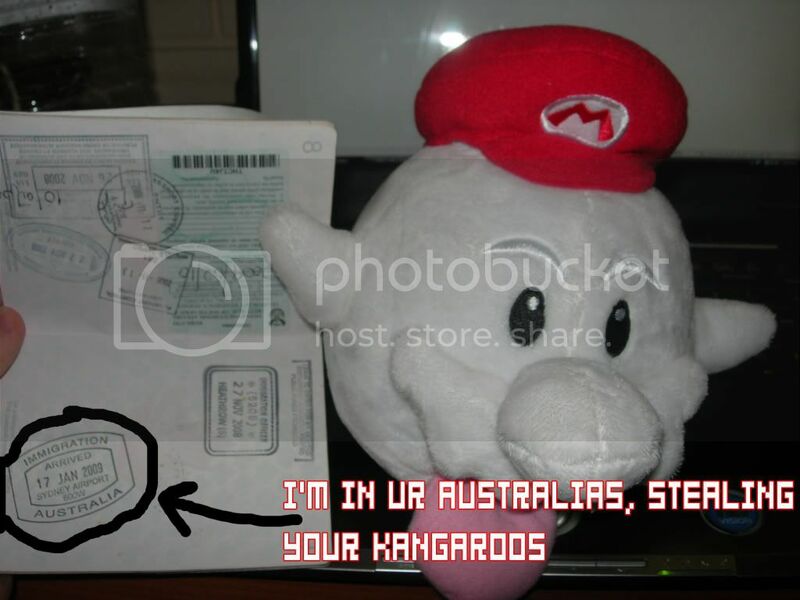 Sydney NARP: You Got GHost In My Australia! Also, An Important Announcement. Guess what boys and girls? We're having a NARP! And it's going to be in Sydney! Woooo hoooo! Day: Saturday, February 7th, this year of two-thousand and nine. Time: Whenever you can show up is fine as we will go all day. Everyone is welcome to drop in and out as they see fit. Can I bring my random friend(s)? : I heartily encourage it. It'll be a good time! 1. Meet up at, and spend some time at Players Lounge shooting each other and training for our futures as terrorists, murderers and zombie apocalypse survival specialists. 2. Once we're done there we can hit up some food and or a bar (depending on if we have any youngins with us) until the wee hours. 3. Anyone that needs a place to stay in the city is welcome to crash at my place, which is within easy walking distance of where this will all be happening. That's pretty much it. We could also do a movie in the evening as well if there is something that everyone wants to see. The power of choice is yours! Don't squander it! Exclamation point! Important announcement and more exclamation points to follow! Remember: even if you're nowhere near Sydney we still want you on that e-mailer. Not everything will be selfishly arranged to be as close to me as possible in the future :) Also, anyone can arrange a NARP. All you gotta do is announce one!